eWay-CRM API allows you to communicate with web service in specific ways. This article shows you how to activate documentation to help you work with eWay-CRM API. 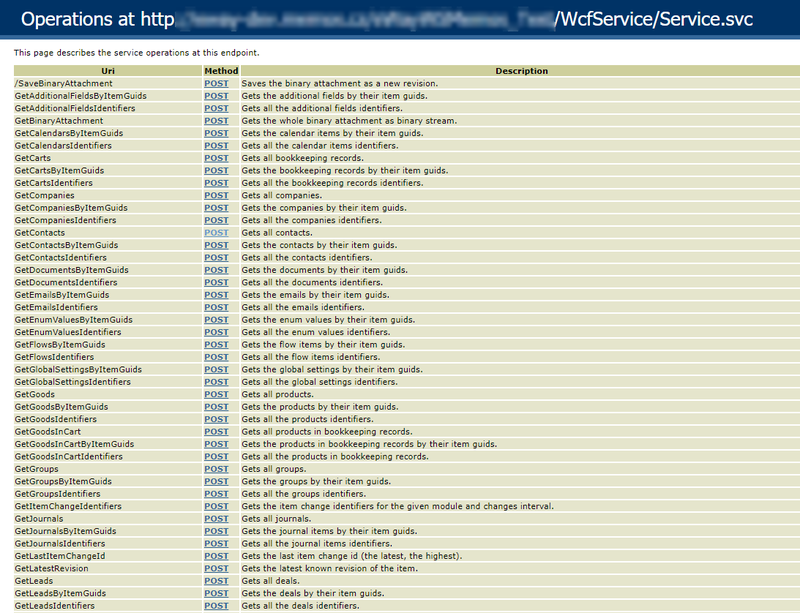 Go to your web service folder and open WcfService folder. There is Web.config file - open it for editing. There is <behaviors> in the code. 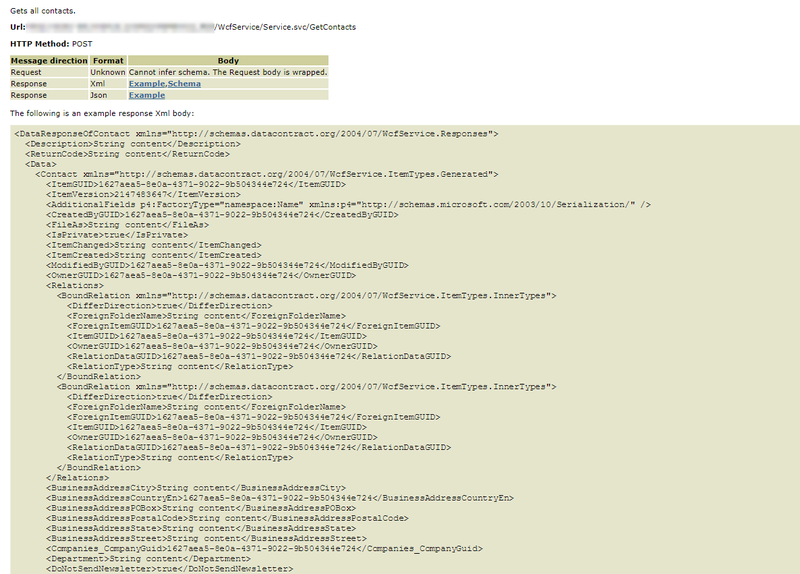 You need to add helpEnabled="true" value to the webHttp parameter (see picture below). You should see list of all methods that you can use in eWay-CRM API. Click POST and details about method will be displayed. For example, in the GetContacts methods, you will see all parameters you can work with (the picture below shows only part of the page for the GetContacts method).